≈ Comments Off on #TheMemoReleased, the Roadmap. Several millions of dollars and several months ago, a Special Counsel investigation was launched into whether the Russian government had been able to influence the outcome of the 2016 election, and whether Donald Trump and/or several members of his campaign staff had assisted in this effort. Almost a year later, there is still no clear legal guidance as to just where “collusion”, which is not a crime, ends and where genuine criminal activities such as attempting to steal an election begins. So far no one has been criminally charged with respect to this specific commission to the Special Counsel, Robert Mueller. No evidence has been uncovered that votes were stolen, or that thefts were even attempted on them, in any state. But today we now know the basis for this investigation was drummed up. Not only that, we can prove it in a court of law rather than the court of public opinion, where the Left believes all these issues should be played out. People can go to jail in our courts. This is the difference between a Roadmap and a World Atlas. One can tell you how to get from here to there. When Mueller was first appointed there was speculation about who or what he worked for, and how far he would go to get conviction(s) that would harm the President. 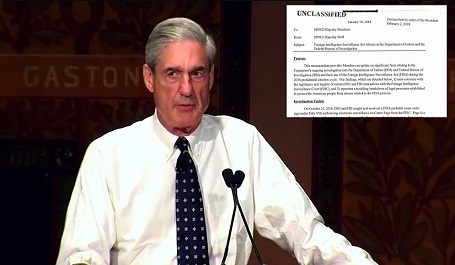 Let’s be honest, that was his true objective and most everyone on both sides knew it, the only difference being that the Left, the Democrats, assumed Mueller would lie, cheat and steal to gain the win, while most, but not all, on the Right said we should give the guy a chance, if for no other reason, to see if he measured up to his established reputation in history. I was one who said, in July 2017, that Mueller was not likely to risk tarnishing his place so is unlikely not to attempt to manufacture evidence out of whole cloth.